Our Goals are to be Specialists in the latest LED products and to become the most preferred LED supplier by offering the latest Quality LED Modules, LED Strip Lights and general LED Lighting products at the most affordable prices and to provide excellent After Sales Service! 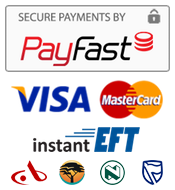 This Easy-to-Use On-line Shopping Site offers Competitive Prices, Product Specifications, Installation Instructions and a Safe 'Easy to use' Paygate Payment System. Rapid Advancements in LED Technology have opened the door to many New and Exciting LED Lighting opportunities. LED Lights are recognised for been very Energy Efficient and therefore play an increasingly important role to help with our responsibility towards the environment. LED Lights are Environmentally preferable products. They are RoHS compliant, containing No Mercury, Lead, or other Hazardous Materials. They emit No UV or IR radiation. LED Retrofit Lights are rated for up to 50000 Hours at 70% Lumen Maintenance. That's equivalent to replacing more than 50 Standard Incandescent lamps or 5 compact flourescent lamps. They are also ideal for hard-to-reach locations since longer re-lamping intervals reduce your maintenace costs.